This page is for older TCX based watches. 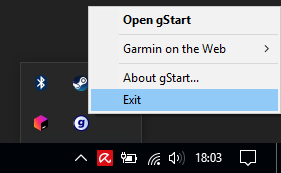 on the bottom right of the screen to see if there is a “gStart” icon (shown as (g)). You will need a USB protocol debugger and a working knowledge of the USB protocol. 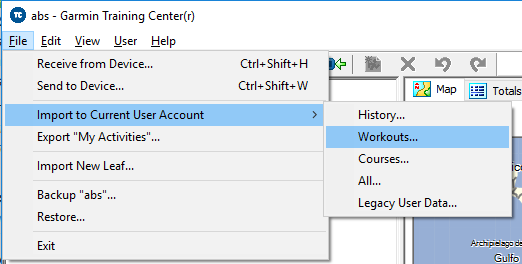 Your mission, should you decide to accept it: reverse engineer the ANT+ over USB communication between the Garmin Training Center and a Garmin watch to determine how to send a TCX workout file to the watch, and implement a program to reproduce. Your reward: a place in the pantheon of people who have accomplished a herculean task Just Because It Is There, and the lifelong respect of a select group of running geeks. (Most people at the point elect to purchase a new watch instead).